Country fans will once again have the chance to help hand out the hardware to their favorites when the 2nd Annual American Country Awards are handed out at the MGM Grand in Las Vegas on Dec. 5. 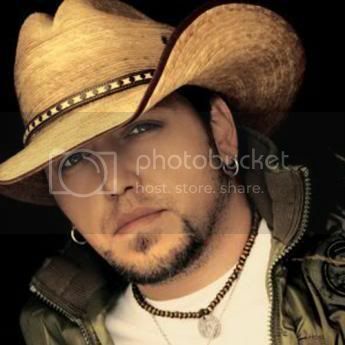 The awards are decided strictly on the basis of the fans' vote and this year Jason Aldean and Zac Brown lead the way with eight nominations. It’s clear this these awards aim for a younger country audience with nominees that extend beyond the traditional, expected superstars and basing the awards solely on the vote of the fans. It's The People's Choice Awards, country style. Another differentiating factor is the inclusion of categories like Touring and several Video categories in addition to a ton of young and new talent, oft overlooked by tshe more established Country awards shows. The ACA’s are definitely capitalizing on the youth movement going on in Country music, as evidenced by the success of recent American Idol winner, Scotty McCreery who is nominated for Artist Of The Year: New Artist. Voting is open now and you can vote once a day, every day until Friday November 11 for all categories with the exception of Artist Of The Year for which you can vote up until Friday December 2. The design and format for these awards is fairly genius and executively produced by the same man (Bob Bain) responsible for the Teen Choice Awards also on Fox which are fan voted as well and winners famously receive large, odd “trophies”: a full-sized surfboard. I watched this last year but, didn’t even remember I had until I was reading up on it now, I think I thought it was a Christmas special, and the host Trace Adkins was less than charismatic, so my forgetting is more Trace’s fault and less the bottle of chocolate wine’s fault. This year Adkins is gaining some megawatt personality in Kristin Chenoweth (Glee, Pushing Daisies, The West Wing) who will force me to mute the TV repeatedly but she’s cute. I’m happy to see original Idol champ Kelly Clarkson nominated for her duet with Jason Aldean, “Don’t You Wanna Stay?” and I’m pulling for Blake Shelton to win anything just so I can look at him. If the annoying The Jane Dear Girls win their category (Single Of The Year: New Artist), I’ll be forced to throw my (empty) wine glass at the TV. Miranda Lambert is nominated as a solo artist and with her girl group The Pistol Annies, I’d love to see those girls win. The list of presenters and performers has yet to be announced but promises to be the cream of the crop of country artists from the past year. Will you be watching? What do you think of this updated format for a Country awards show? Who are you voting for? Check out the nominees and let the debate begin! Stay tuned to BlindedBySound for the winners when they're announced!